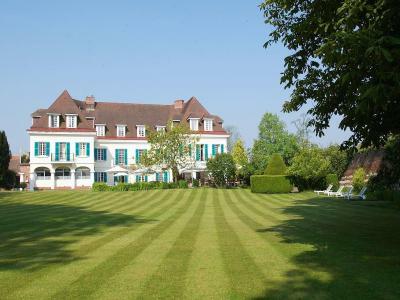 Lock in a great price for Chateau De Montreuil – rated 9.2 by recent guests! Superb hotel with every luxury in the bedrooms and bathrooms. The Michelin-starred restaurant lived up to expectations - though naturally, at a price. First time I've had edible flowers scattered on my fried eggs! Our arrival greeting was not over friendly. Despite booking several weeks ahead we had been unable to have a table in the restaurant on our first evening but after a few e mails had been promised more than a snack in our room, how ever that changed when we arrived to just a snack, take it or leave it , so we had no option than to walk into the town on a freezing night and try to find somewhere to eat. Most of the restaurants were full not surprisingly on a Saturday evening, but we did find a lovely restaurateur who made us very welcome. At breakfast on the first morning after being shown to our table we were then ignored for 20 minutes. The same fate did not await a French couple who arrived after us. We were speaking French by the way. The photos of the rooms didn’t do them justice. The meal at the restaurant was excellent! Great room. Very unusually and beautifully decorated, large bathroom, lots of windows and therefore light. Really lovely. Peace, quiet, location, ambience, food, and the weather added to the moment, superb. Garden room was excellent and very comfortable. A short walk from the hotel. Property & gardens were beautiful. Bed was very comfortable & room was spacious. Dinner menu was great - Michelin Star level. Hotel was cosy and room was spacious and comfortable. Very ood restaurant. Attentive staff. Large, comfortable bed. Spacious accommodation. 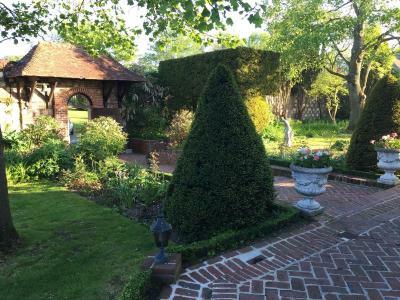 Set 11 miles from the Opal Coast, this 4-star country house is located in the small country town of Montreuil-Sur-Mer, opposite the ramparts and the roman citadel. It is set in a flower-filled garden. Guestrooms at the Chateau de Montreuil are all individually-decorated and offer satellite TV. Some rooms have 4-poster beds. The chateau has a restaurant, which serves gourmet French cuisine. There is also a bar and a terrace. 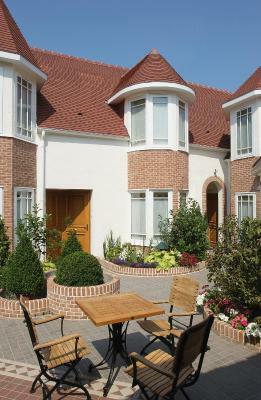 The hotel is only 45 minutes drive from the Channel Tunnel, 2 hours from Brussels and 20 minutes from Le Touquet. 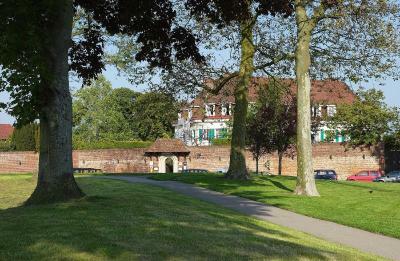 When would you like to stay at Chateau De Montreuil? Located on the second floor, this spacious room has a private bathroom, a mini-bar and satellite TV. This room has a private bathroom with a bathtub. It is located in the garden annex. 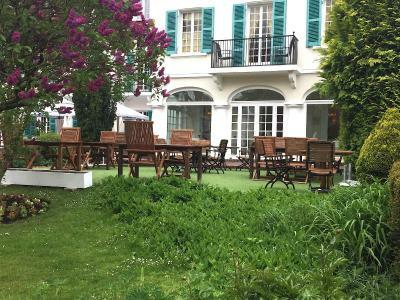 Set over two floors, this cottage is located in the separate Maison d'Hote Courtyard Residence, 262 feet from the main house with a private access footpath through the hotel gardens. The bedroom is on the upper level and a cozy sitting and bathroom are both on the lower level. House Rules Chateau De Montreuil takes special requests – add in the next step! Chateau De Montreuil accepts these cards and reserves the right to temporarily hold an amount prior to arrival. We went to have a drink in the lovely bar area after dinner in town and were totally forgotten about. The owner sat down with friends, saw us, asked if we had been seen to, we responded no, he said somebody with be with us shortly. We waited sitting very near him and his friends for several minutes, were never served and he completely blanked us. We ended up leaving without being served. Pity to be let down and especially by the owner. Also breakfast of coffee and pastries for 19 Euro is way off target. Much nicer to walk into town for coffee at a cafe and croissants from the bakery next door for a fraction of the cost. The wifi was non-existent, even the hotel staff could not get the wifi to work. The reception wifi worked but only within yards of the reception. I did hear other guests complaining about no wifi . We stayed on a Monday and their restaurant was closed (albeit they called in advance to warn us of this and booked us a table in a restaurant nearby). Waited 2 hours after check-in time to obtain our room. Comfortable and good meal. On departure, no apology for late check-in, vague excuse of insufficient staff. Not what we would expect from this quality hotel. This property is tired and very old fashioned. If you like waiting staff to wear black tie/DJ and remind you of your name every minute and if you like swags and drapes and tired carpets and old fashioned blankets, you will love this place. Food is absurdly expensive and they don’t even provide water in the rooms but expect you to pay 5 euros for a 250ml bottle. It was quite expensive and the service/decor was not as good as some similarly priced places we have stayed in. The food apart, there wasn't the sense of luxury that £500 a day for accommodation and dinner for two might suggest. The 'cottage' was In a terrace, backing onto a street, and short of natural light. Being offered garage parking as an 'extra' didn't seem appropriate. one of the best relais et chateaux I have experienced. I love everything about this property. The staff and decor is lovely. The food fantastic. It is very quiet and tasteful.